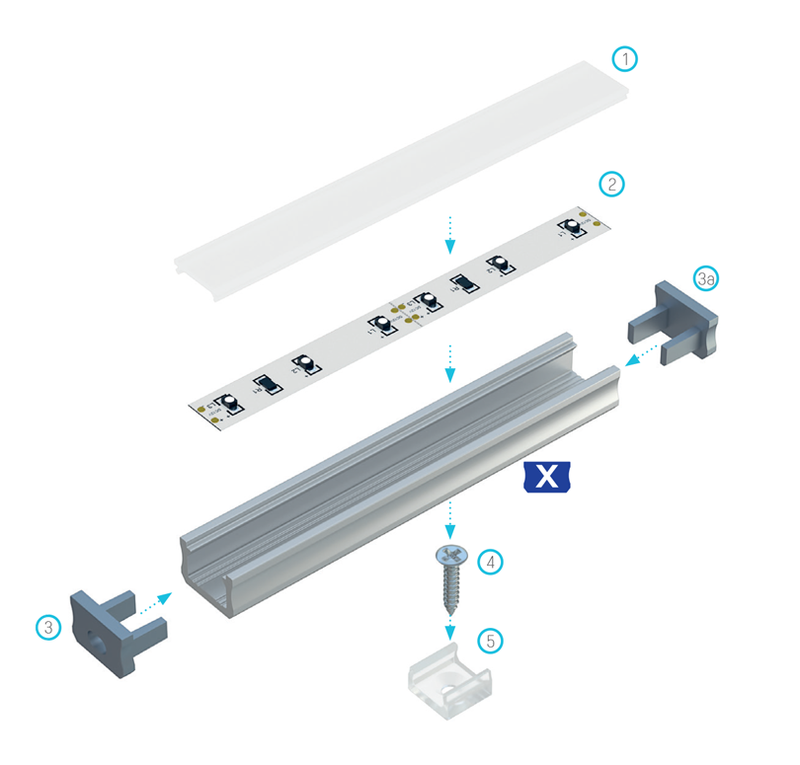 Lumines X aluminium profile is a surface-mounted profile with minimalist dimensions, designed for simple and fast installation in hard-to-reach places. It is ideal for discrete lighting in kitchens, stores and lighting countertops, handrails. Lumines X is perfectly suited for decorative backlighting in furniture and interior decorations. 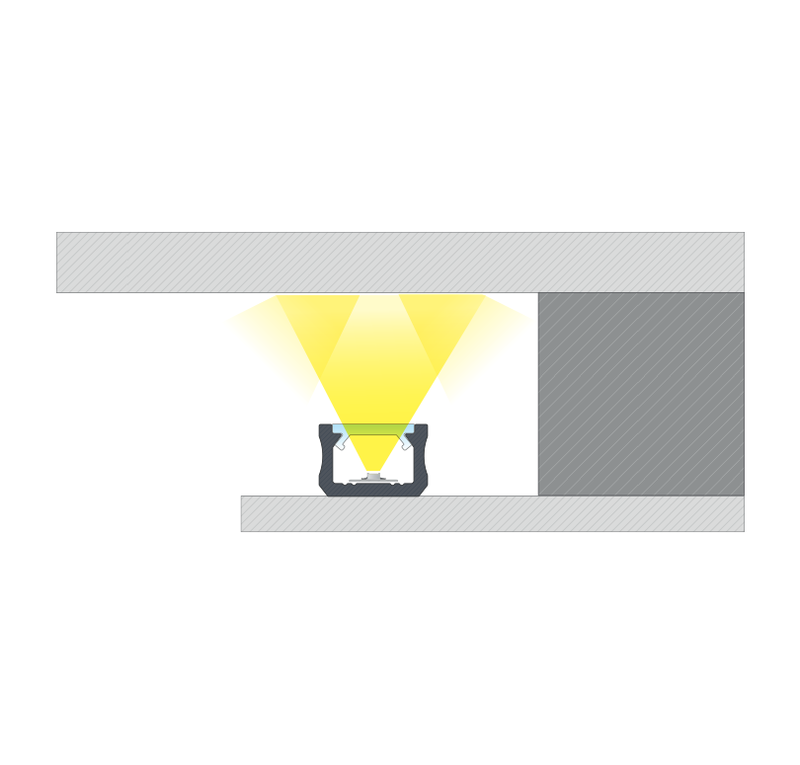 The use of the X profile ensures that we will obtain an extremely narrow and pleasant light beam. 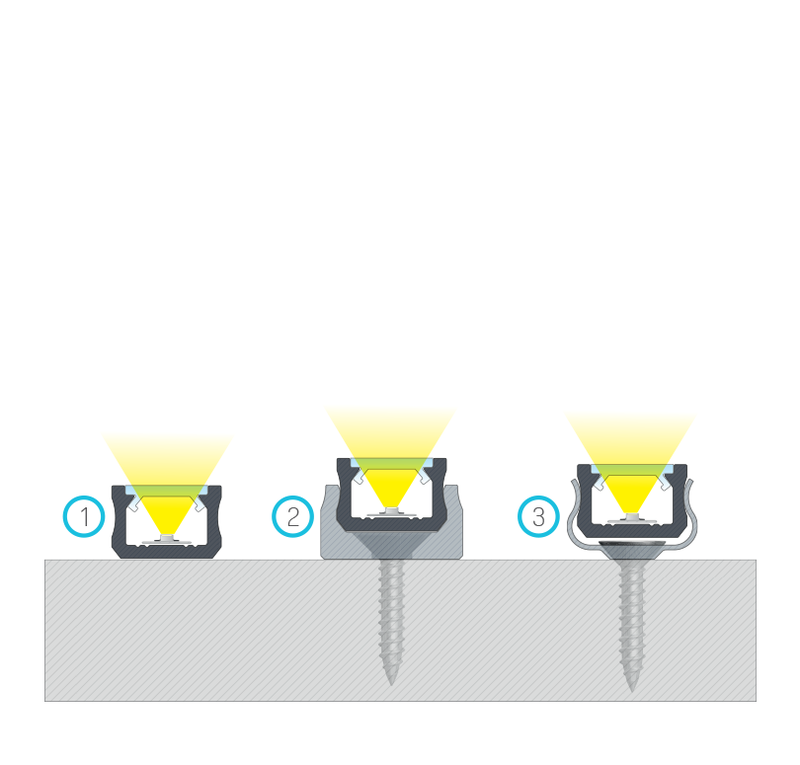 The ability of obtaining a narrow light beam is not the only advantage resulting from the use of the X profile. 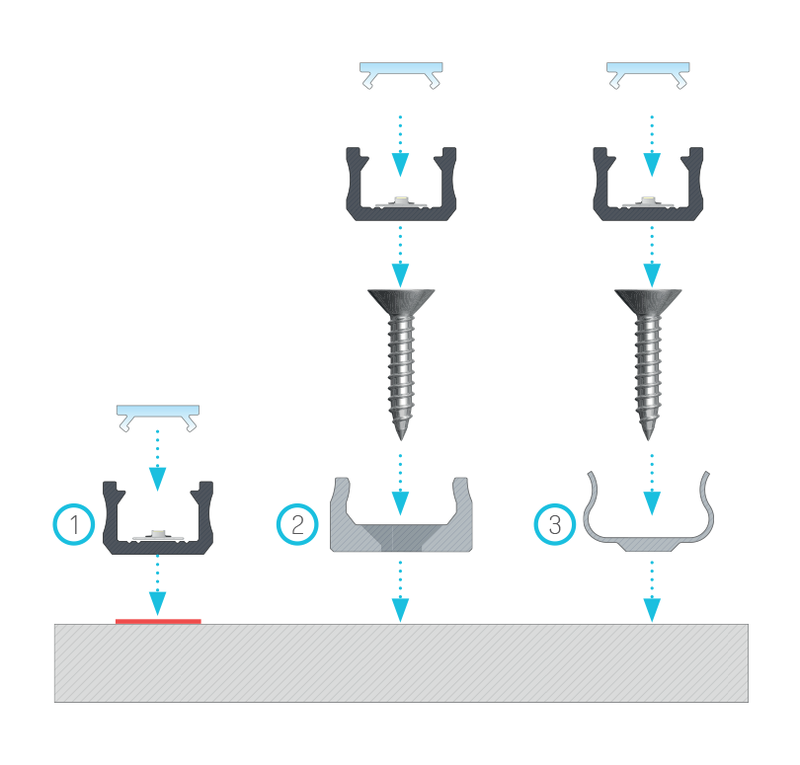 Its minimalist design allows for installation in places where there is little choice for the use of appropriate lighting. 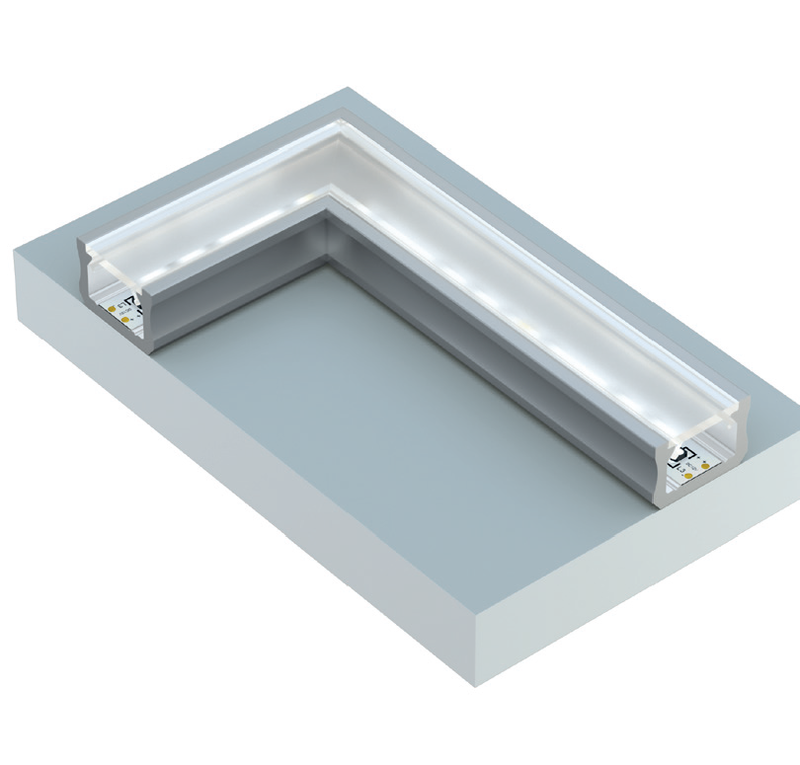 The small height of this profile and the flat cover (mounted from the top with a snap-on) give the impression of a very discreet fixture for LED strips and tapes.